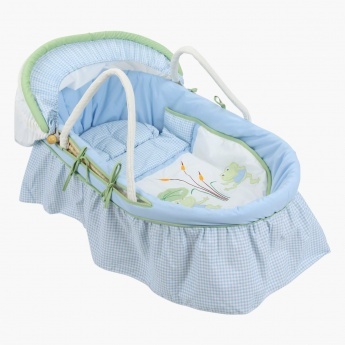 Save SAR 139 (49.82%) – Earn 13 Shukrans What is Shukran? Shukran is the Landmark Group’s award-winning loyalty programme in the Middle East, which allows you to earn Shukrans when you shop any of our brands. 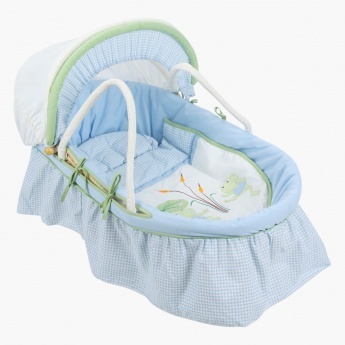 This beautiful mose basket is the ideal first bed for your little one. 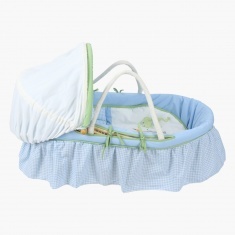 It is strong and sturdy to guarantee your baby's safety and comes complete with a retractable cotton hood. 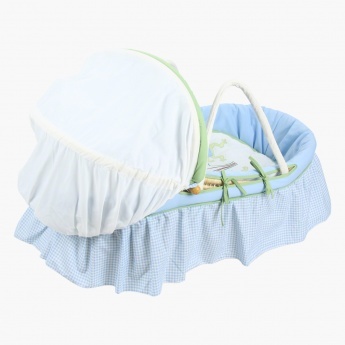 Included within this basket is a soft cotton liner and foam mattress, providing a luxurious sleeping environment for your baby.